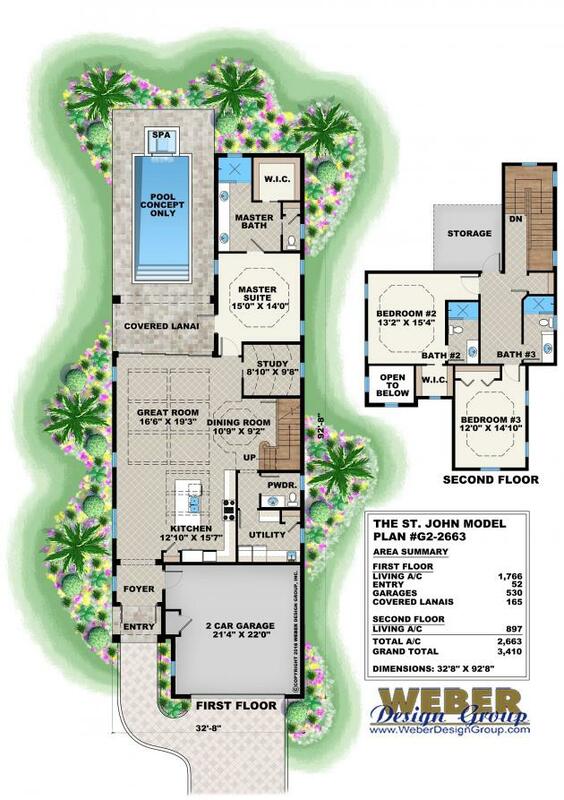 The St. John house plan is ideal for a narrow beach, coastal or other waterfront lot. 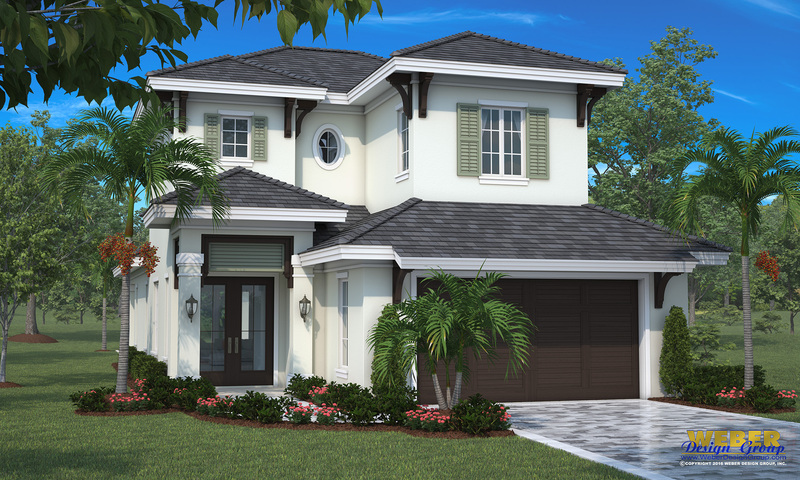 The floor plan is two-stories with an open layout where the great room, island kitchen and dining room are combined for casual entertaining yet each is defined by its own distinct ceiling. The great room leads out to a covered lanai and pool area through pocketing glass doors that create a nice indoor-outdoor transition. The luxurious master suite is on the first floor and has private access to the pool as well as a walk-in closet and a master bath with dual sinks and a shower. The first floor also has a study, powder room and a utility room. Upstairs in this 2 floor home are two additional bedrooms, two baths, and storage.